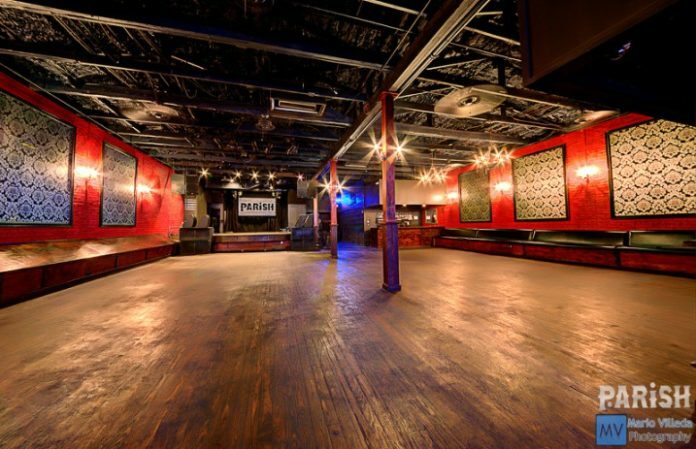 The owners of a Texas music venue, The Parish, are auctioning off the venue on online marketplace eBay, and the bidding started at just $1 on Dec. 1. At the time this article was posted, the current bid was $160,300. The 5,300-square-foot, 425-capacity venue is located on Austin's popular Sixth Street and over the years has hosted many famous acts from Slash to alt-J. ATX Brands CEO, Doug Guller, is selling the lease through a 10-day online auction. Guller is starting the bidding at $1, but the bidders will have to hit an undisclosed reserve price to actually trigger a sale. Bidding will end Dec. 10. According to Billboard, the buyer will gain a 12-year lease of the building with two five-year renewal options. The venue includes two large bars and green rooms, a private office, in-house lighting, production capabilities and a new Nexo sound system. The buyer will also have the option to purchase Guller's liquor license from the Texas Alcohol and Beverage Commission. Arguably the best part of the deal: Shows are already booked for the venue through next year. Guller's company is in the process of leaving the music business and has already sold two other venues earlier this year. Back in April, he sold off Schroeder Hall on eBay. The second oldest dance hall in Texas went to widow Linda Krause for $499,700.